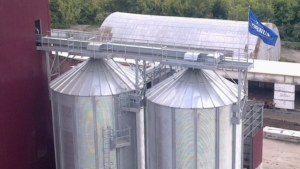 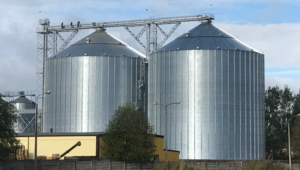 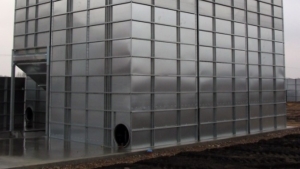 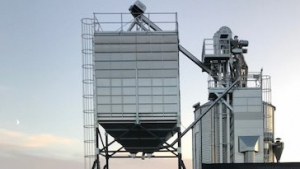 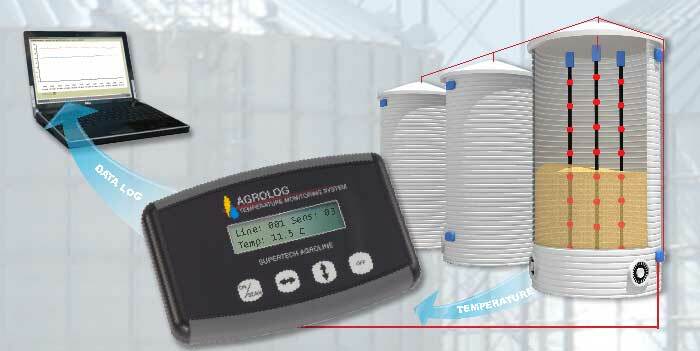 Tornum’s temperature monitoring system for storage silos enables you to keep a closer check on grain quality during storage. 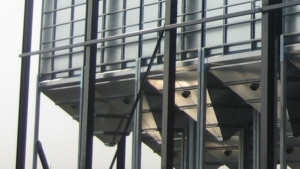 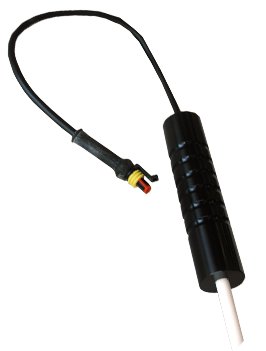 The measuring cables consist of strong reinforced plastic tubes with a number of sensors. 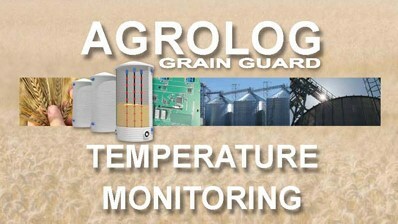 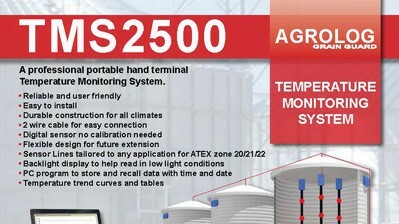 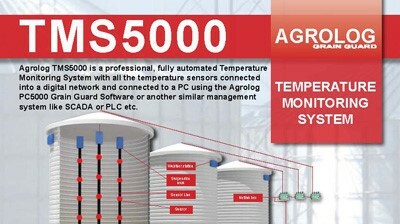 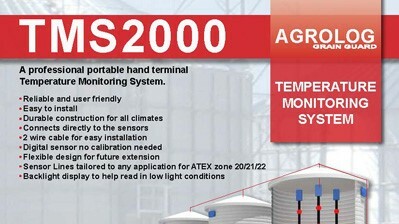 Tornum offers two types of temperature measuring and monitoring systems – a battery-powered hand-held instrument that can be moved between the cables, or a PC-based system with continuous temperature monitoring, alarm level and history of temperature development in the grain store. 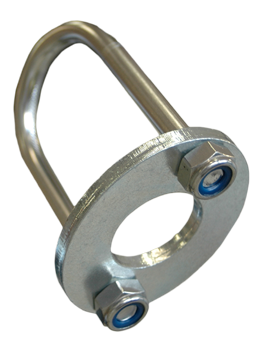 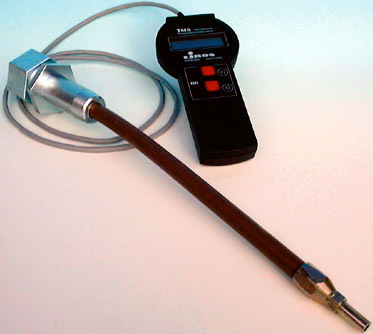 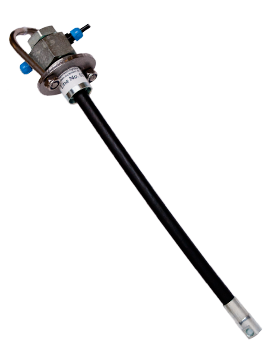 We also provide measuring probes for use with the hand-held instrument. 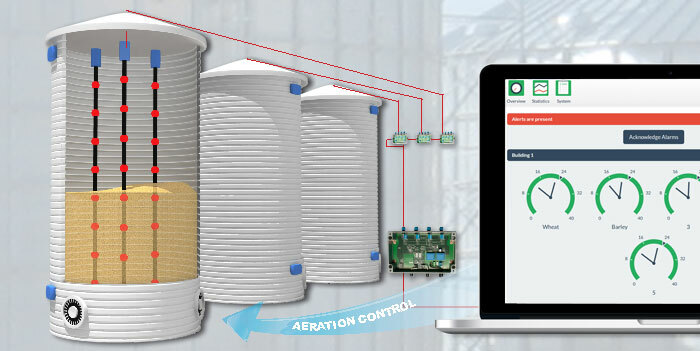 Wireless data transfer and internet access is possible.